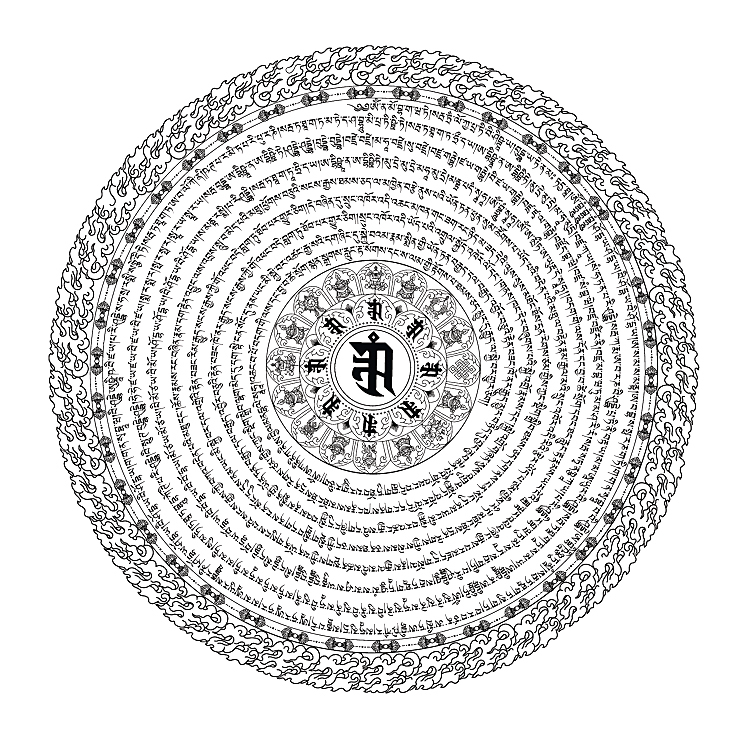 This PDF downloadable mantra wheel was designed by Lama Zopa Rinpoche. In addition to the benefits taught by Lama Zopa Rinpoche below, keeping this mantra within a packet on the body or keeping it in a pocket brings the wearer protection from harm. 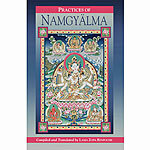 "The Namgylma mantra is extremely powerful and is the main mantra to purify and liberate beings from the lower realms, purify negative karma, and help those who are dying or have died by chanting it in their ear or placing it on their body. For instance, if this mantra is placed on a mountain the entire mountain becomes blessed and any people, animals or insects who touch or climb the mountain are purified of negative karma and liberated from the lower realms. 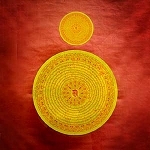 If you hang this mantra as a banner then even the shadow from the banner purifies the negative karma of anyone who comes in contact with it. Similarly, if this mantra is hung in your home, everyone in the house, not only people but all of the animals and insects will be purified of their negative karma and liberated from the lower realms. And it is excellent to have this mantra on your car, on the inside roof, on the passenger side visor, or on the outside of the car. This way, every time someone enters your car they are blessed by the power of this mantra. Also, any animal that touches the car, is killed in an accident, or is run over by the car, including extremely tiny insects that you can't see they are completely purified. By having this mantra on the car, or house window, then even the shadow will bless sentient beings. The dust, wind, water and rain that touches it with the Namgylma mantra becomes blessed so that any person or animal or insect who comes in contact with the dust, wind, water or rain becomes purified. I suggest that you give copies of this mantra sticker to other people in your community and explain the benefits of it. 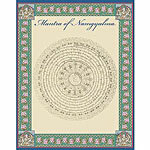 We need to print more Namgylma stickers, many different sizes for others to use in the car, home, motorbike, bicycle, etc." You may place this print in a protective cloth or pouch and wear it around your neck. Click here for advice on wearing protection items and here for additional advice on an easy way to benefit animals.